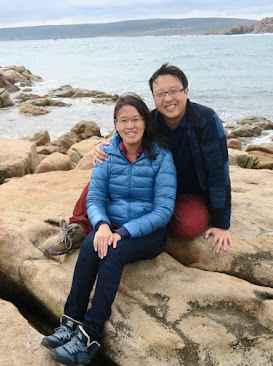 A feature story written for local family portal Little Day Out. Little Day Out chats with Ms Rosa Park, Senior Artist at the Singapore Dance Theatre, to learn how to help children appreciate the dance; and how we as parents can empower our children to pursue their dreams. The soft classical music lingered in the background even as I made my way to the meeting room of the Singapore Dance Theatre (SDT). Turning my attention away from the group of young ballet dancers practising for their next performance, I smiled at the lovely lady I was here to meet - Rosa Park, a renowned dancer with years of experience playing principal or soloist positions in the various companies she has danced with. This has included full-length classicals such as Swan Lake, Sleeping Beauty and Romeo & Juliet. The SDT will be reproducing excerpts of some of these famous performances in its upcoming Dance Appreciation Series, to be showcased in conjunction with Esplanade Presents Octoburst! 2014 – A Children’s Festival. The Dance Appreciation Series (DAS), Rosa explained, aims to educate children about dance through exposure to the performing arts. A narration discussing each piece takes place before the dance begins, and children will learn about various aspects of the dance. For instance, what each movement means, and why the dancers move in a certain manner. In addition, the DAS features excerpts of famous ballets, which will be of more interest to children, in bite-size portions to cater to the children's shorter attention spans. What can children look forward to when they come to the DAS? What can parents do to help their children benefit more from the DAS? Rosa shared that families should just come ready to allow their children to be fully engaged in their first encounter with this art form. For other full-length ballet performances, parents could even read the ballet’s story to the child prior to the show. Would children as young as two years old be able to enjoy dance? The DAS is recommended for two-year-olds and above. Rosa emphasised that for young children, it is important to expose them to different life experiences at an early age and to help them to appreciate the nuances of each experience as it occurs. Being a mother of two, Rosa has brought her own daughters to watch ballet performances since a young age, and they have both developed a keen interest in ballet and especially the beautiful tu-tus. What makes the DAS so unique? So how then did SDT’s Senior Artist come to love ballet? Perhaps it’s not only about appreciating the dance; but more - to glide along in tandem with the spirit of the dance; to live each moment as it is, and to pursue your dreams wherever they take you. The Dance Appreciation Series: Introduction to Ballet Classics will be held at the Esplanade Concert Hall on 3 October at 1 pm and 4 pm. It is suitable for children from two and above. Told through narration and dance excerpts, this hour-long performance specially created for our young audiences will feature some of the world’s most famous classical ballets like Sleeping Beauty, Swan Lake, Don Quixote, Nutcracker and La Bayadere! Children are encouraged to come dressed in their favourite character costumes and to take photographs with the cast after the show. Beginning our dance appreciation series with 4yo Z. 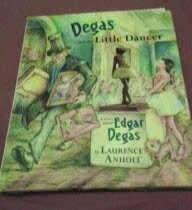 A story about Edgar Degas and his "Little Dancer" Marie. 1) Let your child listen to classical music and watch famous ballets on Youtube. Our 4yo enjoys watching Swan Lake and the Nutcracker after we introduced them to him. 2) Tell your child the story of the dance and what each dance movement means while you are watching the performance with him or her. Our 4yo has been very intrigued when the "bad man" dies in Swan Lake and has asked us numerous questions regarding that part of the dance. The original Little Day Out article can be found here.